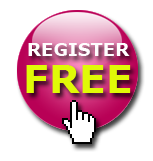 Free Publicity: Don’t need a record label? Submit your previews/teasers here. Bookings: Scheduling a tour? Luke Kelvin (our founder) may help – view form. Tracks below 145bpm: If your demos are NOT hard dance, submit them to our label EDMstr – it releases mainstream EDM styles (techno, house, dubstep, etc). 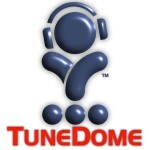 Below is TuneDome’s 5-minute application for our free music distribution program – the Fresh Talent Program. We are excited to hear your amazing tracks. Be sure that you have read the program guidelines page before you submit the application. But don’t wait until the last moment – the sooner you complete the application, the sooner we will see it! Please complete all the fields to give us a chance to hear the tracks that you want to release and distribute on iTunes, Beatport, Amazon and other global platforms (channel list). If you have a question or run into a problem with this page, please use our contact page to connect with us by phone or through this site. ▼ Facebook Artist Page... (required) Provide your full Facebook Artist Page address. If you only have a personal Facebook profile, provide it instead.